LUNAR ECLIPSE AND MARTIAN CONJUNCTION: Friday, July 27th, is a big night for astronomy. Mars will be at opposition, making a 15-year close approach to Earth. The full Moon and Mars will be in conjunction. 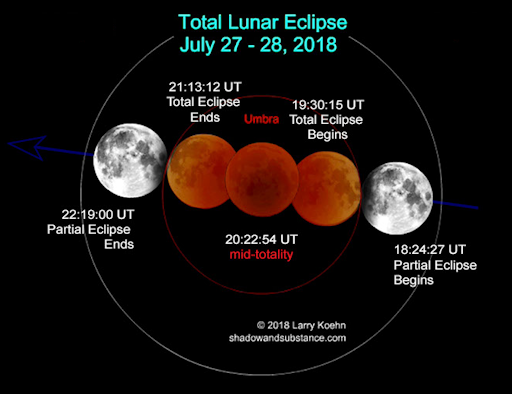 And, best of all, the Moon will pass through the shadow of Earth, producing the longest lunar eclipse in a century. Visit today’s edition of Spaceweather.com for sky maps, animations, and observing tips. Remember, SpaceWeather.com is on Facebook!